Boosts both hot and cold supply to an individual shower, bath, shower mixer or mixer tap. Suitable for positive head applications only. 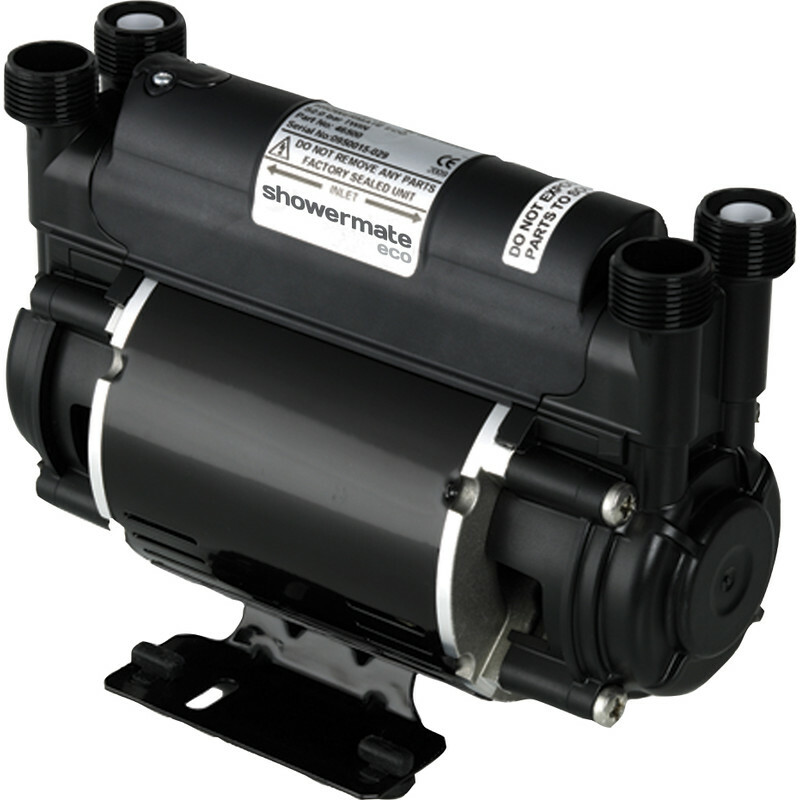 Stuart Turner Showermate Eco Standard Twin Shower Pump 1.5 Bar is rated 3.0 out of 5 by 2. Rated 4 out of 5 by sezgin from I bought this item from you it wouldn't work first We had to bleed the taps in the shower to work now it's working good sometimes it still stops the pressure don't understand it. Rated 2 out of 5 by TtoT from plastic impeller Poor quality parts for the money, plastic impeller not very strong. One bit of grit destroyed it . Flush the pipes and fit a filter if you use this pump. Also inlet pipes are 15 mm hot would be better served with 22mm.